Like Us, Garaga is a Detail‑Oriented Company. Therefore, we are proudly showcasing our Garaga products and expert certification. Experts for us means expert service from the first contact to the final touches on the installation day and expert products that will last for decades that never compromise quality for anything. Contact us at 508-875-3508 today! Your garage door needs immediate assistance? Call us, we will take care of it! Whether it is an emergency or not Door Systems Metro Boston provides the quickest service as possible, and with our 24‑hour emergency service, you’re sure your problem will be fixed without delay. We proudly service Needham and surrounding areas including Framingham, Newton, Boston, Norwood, Brookline and more. In the Market for a New Garage Door in Needham? Needham is close to one of the oldest cities in the country: Boston, so it is natural that Needham homes have a 19th and 20th century influence with a Georgian and Colonial New England style. For your garage, we want the best; good looking and top performing garage doors. Choose between our different options, you’ll “wow” every passer‑by. Among the services, we offer as garage door installation, sales, and repair, we are also equipped to replace nonfunctional garage door parts like springs, cables and more. We keep most important parts in stock to deliver a quick and reliable service every time. Additionally, we have a little something to make your garage door more appealing: decorative hardware. LiftMaster: The Master in Lifting garage doors. More than just a name, this brand can literally save you time and increase your garage door functionality. We have a garage door opener for each garage door in Needham (residential or not). Call us now to review the available options and choose the best one for your project. 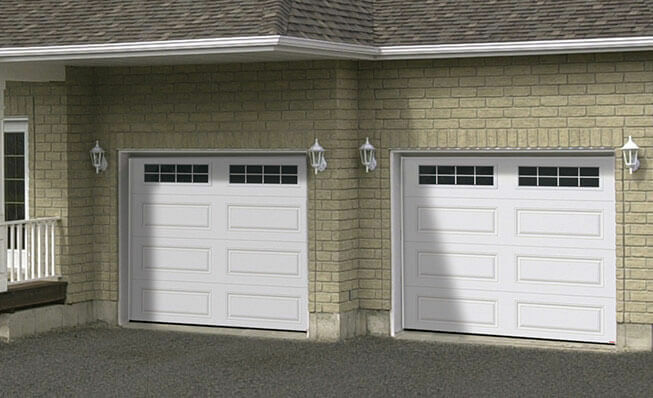 We recommend GARAGA garage doors brand and LiftMaster garage door openers brand. We recommend doing business with a professional, experienced, and friendly garage door dealer. Most of all we recommend to be as picky as possible when choosing these two elements: with Door Systems Metro Boston, they are fully fulfilled!